Like many other people, we are struggling to understand and respond to News about refugees. We are also aware that there are many refugees around the world whose stories rarely make headlines. This page will be kept updated with resources and links for people who would like to respond. We were recently asked (January 2016) about whether there is a way to donate things to refugees at the moment. This is the reply we gave. If you know better, please get in touch. As far as we are aware, four refugee families were housed in Fife in December. They are being supported by Fife Council. We have been told that they have everything they need at the moment. There are due to be more families coming in February and we have made those involved aware that the churches are willing and able to help, but we have no requests yet. 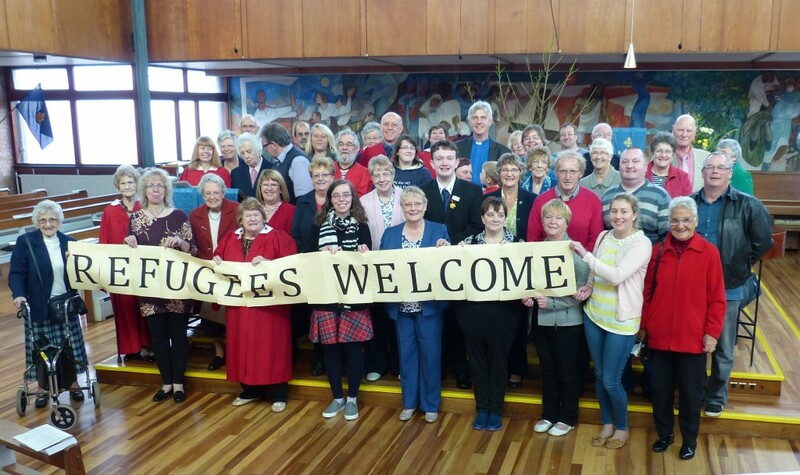 In the autumn, there was a network of groups collecting clothing to send it to Calais, including one in Glenrothes. However, they rapidly got more than was required, so they are no longer collecting. I’m aware of some clothes being taken to the Mediterranean, but I think that is quite expensive. Christian Aid, Unicef and others are collecting money to help the Syrian refugees. At the moment, the best thing to do is perhaps to donate to one of the charity shops that supports refugees, like Save the Children.